The Republic of Korea (Korea) has witnessed fast growth over a short period, which has mostly been led by the state. Nonetheless, Korea still holds strongly to its Confucian traditions, which occasionally results in conflicts between modern transparency and traditional loyalty, and any consideration of Korea's regulation of corruption should take account of these particular characteristics. Korea has taken various preventative measures to address the corruption of its public officials. First, there are laws governing the ethics of public officials, such as the State Public Officials Act and the Public Service Ethics Act. Article 61 of the State Public Officials Act provides that no public official may give or receive directly or indirectly any reward, donation or hospitality in connection with his or her duties, imposing a duty of integrity on public officials. In addition, the Public Service Ethics Act requires senior public officials to register their property (Article 3) and the registered property to be disclosed for a certain period (Article 10). If a public official who is subject to a registration obligation retires, he or she is restricted from being employed by entities related to his or her duty (Article 17). 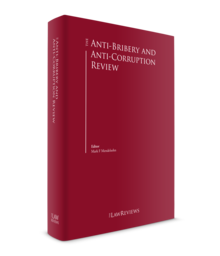 Further, there are rules and regulations punishing corrupt practices, such as domestic bribery and overseas bribery, in the private sector as well as in the public sector. The most basic law governing corruption is the Criminal Act. The Act on Aggravated Punishment of Specific Economic Crimes and the Act on Aggravated Punishment of Specific Crimes expands the scope for crimes that are punishable under the Criminal Act. In addition, the Improper Solicitation and Graft Act supplements the Criminal Act in respect of punishment of corruption in the public sector. The Pharmaceutical Affairs Act, the Medical Devices Act and the Medical Service Act supplement the Criminal Act and govern corrupt practices in the private sector that are not subject to punishment under the Criminal Act. a public official is prohibited from, by taking advantage of his or her post, receiving, demanding or agreeing to receive a bribe concerning the use of the goods of office in connection with the affairs that belong to the functions of another public official (Article 132 of the Criminal Act). A person who promises, delivers or manifests a will to deliver a bribe, as stated above, shall be punished by imprisonment for a term of not more than five years, or by a fine not exceeding 20 million won (Article 133(1) of the Criminal Act). Further, a person who delivers money and valuables to a third party for the purpose of offering bribes, or who knowingly receives money and valuables with that purpose, shall be punished by imprisonment for a term of not more than five years, or a fine of not more than 20 million won (Article 133(2) of the Criminal Act). One of the main elements of bribery is whether the bribery is relevant to a public official's duties. In the case of giving money and valuables to public officials, whether the act can be classified as bribery depends on whether the act is carried out in relation to a public official's duties. The corrupt practices of a public official that are not regulated by the Criminal Act are regulated by the Improper Solicitation and Graft Act (the Graft Act). The scope of application of the Graft Act includes public officials, persons who are regarded as public officials, public service-related organisations, employees of public institutions, employees of schools, officers and employees of educational foundations, officers and employees of the press, spouses of a public official and private persons performing public service (public officials) (Article 2). Moreover, the Graft Act has a joint penalty provision. 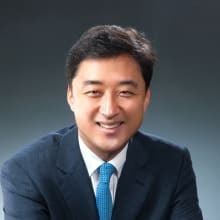 If a representative of a person involved in the administration of Korean law, also known as a juridical person, or an organisation or an agent, an employee or any other worker employed by a person or an organisation involved in the administration of Korean law, or an organisation or an individual involved in the administration of law improperly solicits or offers money, valuables or any other form of benefit in connection with the affairs of a juridical person, the organisation or the individual, not only shall the violator be punished, but the juridical person, the organisation or the individual shall also be subject to a fine or an administrative fine. It is provided, however, that if the juridical person, the organisation or the individual did not act negligently and paid due attention to and supervised the relevant affairs of the perpetrator to prevent a violation, that person shall be not be punished (Article 24). A juridical person must therefore establish and maintain an effective compliance programme. The acts prohibited by the Graft Act can be roughly classified into the improper solicitation of a public official, and the giving and receiving of bribes with respect to a public official, particulars of which are given below. The Graft Act prohibits the improper solicitation of a public official. Article 5(1) of the Graft Act provides that no person shall make any of the listed improper solicitations to any public official performing his or her duties, directly or through a third party, and it lists 14 prohibited acts, including the improper solicitation of permits and approvals. However, Article 5(2) of the Graft Act lists seven acts that do not fall into the category of improper solicitation and these acts are deemed not to be in violation of social norms. A person in breach of the Graft Act shall be subject to a fine of up to 30 million won (Article 23). The Graft Act prohibits a public official from receiving money and valuables of a value greater than a specified amount. As previously stated, if a person gives money or valuables to a public official, the public official is punished under the Criminal Act only when he or she is bribed in relation to his or her duties. However, pursuant to the Graft Act, if the amount given to a public official is greater than the permitted amount, the public official is punished even when the bribe is not in relation to his or her duties as a public official. This is a distinguishing feature of Korean corruption law. Further, no public official shall accept, request, or promise to receive any money, valuables or any other form of benefit exceeding a value of 1 million won at a time, or 3 million won in a fiscal year from the same person, regardless of the pretext or whether the benefit is connected to his or her duties (Article 8(1)). No public official shall, in connection with his or her duties, accept, request, or promise to receive any money, valuables or any other form of benefit regardless of whether the money, valuables or any other form of benefit are given as part of any consideration (Article 8(2)). Public officials who violate these provisions shall be subject to imprisonment for a term of not more than three years or a fine not exceeding 30 million won (Article 22(1)1). According to case law, a public official under the Criminal Act is a person who is engaged in the affairs of the state, the affairs of local autonomous entities or an equivalent public corporation as defined by law, and whose duties are not limited to simple mechanical and physical duties (Supreme Court Judgment 96Do1703, 13 June 1997). The scope of what constitutes a public official under the Criminal Act is expanded by specific acts. Under the Act on the Aggravated Punishment of Specific Crimes (the Aggravated Punishment Act), the officers of organisations or entities specified in Article 4 of the Aggravated Punishment Act and Article 2 of its Enforcement Decree are recognised as public officials. In addition, pursuant to Article 53 of the Act on the Management of Public Institutions, a person who serves as an executive officer or an employee of a public corporation or quasi-governmental institution designated by the Minister of Strategy and Finance shall be deemed to be a public official in respect of bribery provisions. Moreover, Article 83 of the Local Public Enterprises Act, Article 134 of the Act on the Improvement of Urban Areas and Residential Environments, Article 84 of the Construction Technology Promotion Act and Article 104 of the Broadcasting Act also have provisions that dictate what persons should be considered a public official for the purposes of the Acts. The Supreme Court held that the benefit, the subject matter of a crime of bribery, includes not only the proprietary benefits of money, goods, etc., but also any and all types of tangible or intangible benefits (Supreme Court Judgment 2002Do3539, 26 November 2002). Specifically, the provision of an opportunity to participate in speculative business, the sale of an apartment or a house in which a premium is added to the value, the provision of sexual favours, the joint guarantee of debt, or an act disposing of land even where the land has not been disposed of for a long period are considered a benefit in the context of a bribe. Korea also regulates bribes in the private sector. This section will consider the circumstances in which bribes in the private sector are regulated in accordance with applicable Korean laws. Pursuant to Article 357 of the Criminal Act, if a person administering another person's business receives property or obtains pecuniary advantage from a third party, or aids and abets a third person to receive property or obtain pecuniary advantage, in response to an improper solicitation concerning his or her duty, that person shall be punished by imprisonment for a term of not more than five years, or by a fine not exceeding 10 million won. A person who gives property or a pecuniary advantage shall be punished by imprisonment for a term of not more than two years, or by a fine not exceeding 5 million won. The Criminal Act punishes a public official's acceptance of a bribe given for the official's 'good offices' in respect of another official's duties, but specific acts such as the Aggravated Punishment Act (Article 3) and the Attorney-at-Law Act (Article 111) also punish civilians if they commit influence peddling to influence a public official in connection with that public official's duties. Further, the definition of a public official includes those who are considered a public official in accordance with the provisions of the Attorney-at-Law Act; however, a person who gives money or valuables, etc. for solicitation shall not be punished. The Act on the Aggravated Punishment, etc. of Specific Economic Crimes (the Act) punishes the corrupt practices of officers and employees of financial institutions. The practices that are subject to punishment and the legal principle of punishment under the Act are the same as those for bribery under the Act. That is, the acceptance of bribes by officers and employees of a financial company (Article 5(1) of the Act), a third party's acceptance of bribes (Article 5(2) of the Act), acceptance of bribes for good offices (Article 5(3) of the Act), provision of bribes to officers and employees of a financial company (Article 6(1) of the Act), delivery of bribes (Article 6(2) of the Act) are all subject to punishment. Under the Act, the severity of punishment depends on the value of the bribe received or given (Article 5(4) and the goods, valuables and benefits furnished in commission of the crime shall be confiscated or collected (Article 10). It is prohibited for a pharmaceutical company, a wholesale dealer of medicine and any medical device company to provide money, goods, benefits, labour, hospitality or any other rebate that gives economic benefit for the purpose of promoting sales. In particular, Korea applies a dual punishment system, punishing both the person who gives a rebate and the person who receives the rebate. The laws relating to medical services are stipulated in the Medical Service Act. The relevant enactments pertaining to pharmaceutical affairs are governed by the Pharmaceutical Affairs Act. The laws relating to medical devices are set out in the Medical Device Act and the Rules on Maintenance of Distribution and Sales Order of Medical Devices. The person who receives or offers a bribe shall be subject to a term of imprisonment or a fine (Articles 129–133 of the Criminal Act). The severity of the punishment set out in Article 2 of the Aggravated Punishment Act increases where the value of the bribe received by a person exceeds an amount of more than 30 million won, 50 million won or 100 million won. That notwithstanding, the person who offers the bribe is subject to the same punishment irrespective of the value of the bribe. The bribes or money or valuables that are to be offered as a bribe shall be confiscated or collected (Article 134 of the Criminal Act). A senior public prosecutor, 'A', was arrested on charges of bribery, which included the acquisition of 8,537 shares in Nexon Japan that amounted to 850 million won, from 'B', the founding representative of Nexon. This was the first case in the history of the Public Prosecutors' Office in which a current senior public prosecutor had been arrested and charged, and as a result it had a deep impact on Korean society. The lower court held that A was guilty of all the charges; however, on appeal the Supreme Court held that it was difficult to conclude that the bribes had been given as a form of compensation for A's services and referred the case to the Seoul High Court of Appeals, where the Seoul High Court of Appeals concluded that A was not guilty of bribery. In a different case, a prosecutor was prosecuted and found guilty for the receipt of bribes. In this case the prosecutor had a sexual relationship with a suspect in a case that the prosecutor was investigating. The prosecutor had had similar sexual relations with another female suspect who had been summonsed on a charge of theft. Two days after the suspect had been summonsed, the prosecutor took the suspect to a motel and engaged in sexual relations with the suspect. The court held that the prosecutor's sexual relations constituted the enjoyment of hospitality in relation to his duties and the prosecutor was sentenced to imprisonment for a term of two years. The law regulating overseas bribery is the Act on Combating Bribery of Foreign Public Officials in International Business Transactions (the International Bribery Prevention Act). Pursuant to the International Bribery Prevention Act, any person who has promised, given, or expressed his or her intent to give a bribe to a foreign public official, in relation to any international business transaction and with the intent of obtaining any improper advantage for that transaction, shall be punished by a term of imprisonment of not more than five years, or by a fine not exceeding 20 million won (Article 3(1)). The International Bribery Prevention Act punishes a person who gives a bribe, but it does not punish an international public official who receives a bribe, nor does it regulate bribery in the private sector. any executive officer or employee of an enterprise in which a foreign government has invested in excess of 50 percent of its paid-up share capital, or over which a foreign government has de facto control as regards all aspects of its management, such as decision-making on important business operations and the appointment and removal of executive officers (Article 2). Where payment is permitted or demanded pursuant to any applicable law of the country to which a foreign public official belongs (Article 3(2)1), the public official shall not be punished pursuant to the Act. An offender under the International Bribery Prevention Act shall be punished by imprisonment for a term of not more than five years or by a fine not exceeding 20 million won (Article 3), and any bribe given shall be confiscated (Article 5). The Domestic Bribery Act has no joint punishment provision, and thus a corporation is not held responsible. This is in contrast to the provisions of the Graft Act, which has a joint punishment provision. The International Bribery Prevention Act has a joint punishment provision and thus if a representative, agent, employer or employee of a corporation commits a violation of Article 3(1) of the International Bribery Prevention Act in connection with hi or her duties to the corporation, the offender as well as the corporation, shall be punished by a fine of not more than 1 billion won (Article 4); however, a corporation may be excused from the punishment when it is held not to have been negligent in taking due care and in supervising the relevant duties of its officers to prevent such a violation. Money laundering is regulated by the Act on Regulation and Punishment of Concealment of Criminal Proceeds, which includes the act of concealing the proceeds of crime or disguising criminal proceeds that are connected with specific crimes as legitimate proceeds. a person who conceals criminal proceeds for the purpose of encouraging specific crimes or disguising criminal proceeds as legitimately acquired (Article 3(1)). A person who violates the Act on Regulation and Punishment of Concealment of Criminal Proceeds is imprisoned for a term of not more than five years, or fined an amount not exceeding 30 million won. Moreover, a person who knowingly accepts the proceeds or crime shall be punished by imprisonment for a term of not more than three years, or by a fine not exceeding 20 million won (Article 4). The crime of money laundering cannot only be regulated by the imposition of an obligation to report proceeds that are acknowledged to be proceeds of crime. In this regard, suspicious financial transactions should be traced in advance as a preventative measure. The Act on Regulation and Punishment of Concealment of Criminal Proceeds and the Act on Reporting and Using Specified Financial Transaction Information impose an obligation on a financial institution to report financial transactions that are suspicious and could be considered a product of money laundering, and financial transactions that are in excess of 20 million won. In particular, if there is a reasonable ground to suspect that the proceeds received from a financial transaction are illegal, or that the counterparty of a financial transaction conducts money laundering, a financial institution is required to report its suspicions to the head of the Korea Financial Intelligence Unit (Article 4). Financial companies are required to report to the head of the Korea Financial Intelligence Unit within 30 days of the date in which they intend to pay, or to receive the proceeds from the counterparty in an amount of more than 20 million won (Article 4-2). There has not yet been an accumulation of investigations or court proceedings in Korea that deal with cases involving foreign bribery. However, recently there was a decision of the Seoul High Court of Appeals (Judgment 2012No865, 2685 on 1 February 2013) relating to the scope of a foreign public official under the International Bribery Prevention Act. This judgment considered whether the Korean branch manager of Eastern Airlines fell within the scope of a foreign public official under Article 2 of the International Bribery Prevention Act. The High Court of Appeals found the manager not guilty of bribery on the grounds that although there were many materials to support Eastern Airlines as a corporation in which the Chinese government contributed capital in excess of 50 per cent of the paid-up share capital, and exercised substantial control with respect to the decision of material projects or the appointment and dismissal of officers, and it was not a corporation that competed with other private enterprises on an equal basis without taking benefits of preferential subsidies or other advantages, the claim was not supported by substantive evidence or data, and therefore, it was difficult to find without any reasonable doubt that Eastern Airlines was a corporation falling within the scope of a foreign public official. To have each country commence a domestic action for the criminal punishment of persons that offer bribes to foreign public officials, the Organisation for Economic Co-operation and Development board adopted, in May 1997, the Recommendation of Amendment of Prevention of Bribery in International Commercial Transactions. In response, at a domestic level, Korea enacted the Act on Combating Bribery of Foreign Public Officials in International Business Transactions in 1998, and which entered into force in February 1999. Korea signed the UN Convention against Corruption on 12 December 2003. On 27 March 2008, Korea filed a letter of ratification with the Secretary General of the UN and the Convention came into effect in Korea on 26 April 2008. At the same time, the Act on Special Cases Concerning the Confiscation and Return of Property Acquired through Corrupt Practices came into effect in line with the provisions of the Convention. The United Nations' Convention against Transnational Organized Crime (UNTOC) was adopted by the UN General Assembly on 15 November 2000 as a countermeasure to transnational organised crime. Korea signed UNTOC and three supplementary protocols between 2000 and 2001. However, it took a long time for Korea to join UNTOC, as Korea needed to finalise the enactment for UNTOC's implementation. In April 2013, Korea amended its Criminal Act to meet the standards of UNTOC and its supplementary protocols. On 29 May 2015, Korea obtained ratification of the Convention from the National Assembly, and on 5 November 2015 Korea deposited a letter of ratification with UN and joined UNTOC as the 186th Member State. The extradition of criminals and mutual assistance in criminal matters became possible utilising UNTOC. Member States of UNTOC are also able to establish mutual cooperation systems in the area of international criminal law. From a practical perspective in Korea, where a public official has received money, valuables or improper solicitations, this is rarely punished since it is difficult to reveal the connection between the receipt of the benefit and the official's duties or whether the benefit was given for a favour. To tackle the issue, in June 2011, Kim Young-Ran, the Chairman of the National Commission on the Rights of the People at that time, proposed a bill to prohibit public officials from seeking and soliciting personal benefits, and on 16 August 2012, the National Commission on the Rights of the People issued a bill for the Graft Act. On 5 August 2013, the Bill for the Prohibition of Illegitimate Prohibition and Conflict of Interest of Public Officials was submitted and on 7 January 2015, the National Policy Committee decided to include private schools and media employees within the scope and subject of sanctions. The bill passed the plenary session of the Korean National Assembly on 3 March 2015. However, many organisations complained about the provisions of the resultant Graft Act and the Korea Bar Association filed a constitutional appeal with the Constitutional Court challenging the constitutionality of the Graft Act. On 2 March 2015, the Graft Act was promulgated and on 28 July 2016, the Constitutional Court held that the Graft Act was constitutional and it came into effect as of 30 November 2016. The legal provisions relating to whistle-blowers in Korea are contained in the Act on the Prevention of Corruption and the Establishment and Management of the Anti-Corruption and Civil Rights Commission (the Anti-Corruption Commission Act) and the Protection of Public Interest Reporters Act. Whistle-blowing in the public domain is governed by the Anti-Corruption Commission Act and whistle-blowing in the private sector is governed by the Protection of Public Interest Reporters Act. First, in the context of whistle-blowing in the public sector, anyone who becomes aware of the corrupt behaviour of public officials or employees of public institutions can report to the National Commission on the Rights of the People in accordance with the Anti-Corruption Commission Act (Article 55). Whistle-blowers are guaranteed their position in their organisation (Article 62). If whistle-blowers are discriminated against with regard to their position or working conditions on the grounds of their whistle-blowing, the relevant organisation shall be subject to a fine of not more than 10 million won (Article 91). In addition, the identity of whistle-blowers must be kept confidential so that their identities are not exposed (Article 64); in the case of a violation, a person shall be subject to imprisonment for a term of up to three years or a fine of up to 30 million won (Article 88). Whistle-blowers may also request personal protection (Article 64-2). In the private sector, whistle-blowers are protected by the Protection of Public Interest Reporters Act. If any person acknowledges that a violation of public interest has occurred or is likely to occur, the person may report to the representative of his or her organisation, the investigation agency and the National Commission on the Rights of the People (Article 6). This Act also provides for a confidentiality obligation so that the identity of a whistle-blower is not disclosed (Article 12). A breach of this confidentiality provision results in imprisonment for a term of not more than five years, or fines of not more than 50 million won (Article 30). If a person takes any disadvantageous actions against a whistle-blower with regard to a whistle-blower's position, the person will be punished by imprisonment for a term of up to three years or fined a sum below 30 million won. If a person interferes with a whistle-blower or induces the retraction of a whistle-blower's report, that person will be punished by imprisonment for a term of up to one year or a fine of up to 10 million won (Article 30). The operation of a compliance programme can be significant, in particular where the International Bribery Prevention Act and the Graft Act apply. The International Bribery Prevention Act stipulates that not only the actors who committed bribery, but also the company to which the actors belong, shall be criminally punished by fines (Article 4), and exceptionally releases a company from criminal punishment where the company has used reasonable care and supervision to prevent bribery violations (proviso clause, Article 4). The Graft Act also has a provision for exceptional release from criminal punishment where a corporation, organisation or an individual has used due care and supervision to prevent a violation (Article 24). The fact that a company has been operating an effective compliance programme can increase the likelihood that this exception will be applied. When the Graft Act came into effect in 2016, Korean society became interested in anti-corruption and anti-bribery measures and as a consequence many problems have been addressed. The fact that many companies in Korea are adopting compliance programmes to prevent bribery and corruption shows that awareness of anti-corruption and anti-bribery is being raised. As we have discussed, Korea is punishing both domestic bribery and international bribery, and the country punishes bribery not only in the public domain, but also in the private sector. In addition, the introduction of the Graft Act prohibits those who have social influence, such as public officials, journalists and school personnel, from taking or giving money or valuables, irrespective of whether the money or valuables are given in relation to their duties. Further, Korea regulates various other anti-corruption practices and has introduced new anti-corruption and anti-bribery systems and measures at a rapid pace, including in its attempts to legislate conflict prevention regulations. It is expected that Korean society will become more transparent as these systems develop and improve. 1 Tony DongWook Kang is a partner and Yongman Bae is an associate at Bae, Kim & Lee LLC.